The Orthopaedics and Spine Specialist Hospital (OSSH) is a purpose built facility designed exclusively for assessment, diagnosis and treatment of orthopaedic conditions. We aim to make your hospital stay comfortable, safe and hassle free. OSSH is conveniently situated in Peterborough within easy reach of the A47, A1M and A605 major routes. The hospital has free ample parking spaces for you and your visitors convenience. The hospital has 20 bedrooms each with en-suite facilities, an Outpatient Department and Radiography Unit. The Operating Theatre Department has a state-of-the-art clean air technology (Laminar Airflow System). OSSH offers a wide range of diagnostic and treatment services for orthopaedic patients. We offer hip, knee and shoulder replacements, ligament reconstruction (after sporting injury), hand and ankle procedures. We also offer treatment of back pain including injections and spinal surgery. Your care is delivered by Consultants listed on the Specialist Register of the General Medical Council. Your package of care provides you with ample opportunity to discuss your condition with your Consultant and other qualified members of the team. OSSH offers you a welcoming clean and safe environment. None of our patients, todate, have contracted MRSA, C.Diff or other serious hospital acquired infections. Our Patients Satisfaction Questionnaires show that 100% of our patients have rated our services as excellent or good. If your GP decides to refer you to see a specialist for an orthopaedic condition you can choose where you want to be seen. 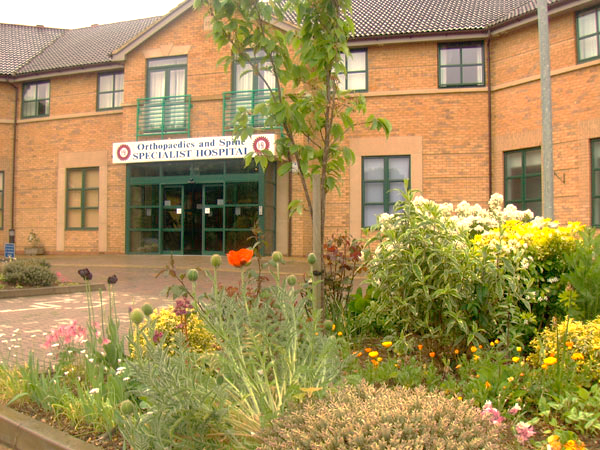 Our specialist hospital could be an option for you.